The fourth chakra is related to the element of air. As such, its energy is associated to the breath and its movements, as well as the idea of spaciousness and connection with all things. The most commonly accepted location for the fourth chakra is at the center of the chest, between the breasts. It’s slightly to the left of the actual organ of the heart. That’s why it’s often referred to as the “heart chakra”. As the fourth energy center, it’s important to remember that it is multidimensional and is energetically represented with a front going through the center of the chest, and a back going through the spine between the shoulder blades. The fourth chakra connects the lower and upper chakras. In other words, the heart chakra acts as a center of integration of earthly matters and higher aspirations. Far from seeing these energies as separate, the experience of the heart integrates them effortlessly and harmoniously. 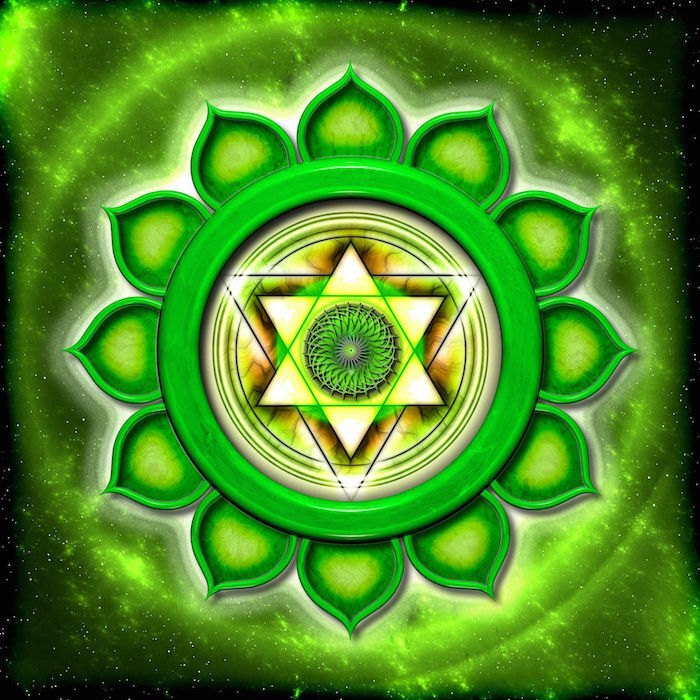 The heart chakra can become imbalanced as a result of life experiences that have a strong emotional charge, physical illments, or significant changes in your environment. It may manifests as a blockage in the energy flow or, on the contrary, a tendency to become overactive or have an excess of energy. When the energy in your fourth chakra is blocked or hindered, you may experience what is sometimes referred to as heart chakra pain. Express your gratitude, even if it’s in silence; you can be grateful for the presence of other people in your life or simply for good things that make your life easier and happier.